The evidence comes from the most recent census, and hints at ‘fast changing’ demographics in England. Bradford, Leicester, Newham (East London), Tower Hamlets (East London), Redbridge (North-East London), Slough, and Luton highlight a similar trend. Tower Hamlets (35 per cent), Newham (32 per cent), Blackburn with Warden (27 per cent)*, Bradford (24.7 per cent), Luton (24.6 per cent), Redbridge (23.3 per cent), Slough (23.3 per cent), Waltham Forest (22 per cent), Birmingham (21.8 per cent), Brent (18.65 per cent)*, and Leicester (18.6 per cent). Blackburn with Warden and Brent buck the trend, as both areas registered more Christian children than Muslim. Yet, both areas are suspiciously absent from the Mail report. For example, in Bristol, there are three times as many Christian children (aged 0-17) than Muslims of the same age. Whilst in Leeds, there are nearly five times as many Christian children (aged 0-17) as Muslim. In both cities, non-religious children (aged 0-4) outnumber Muslim children (aged 0-17) by a few thousand. Yet, there are two major caveats to religious census data: the question is voluntary and it does not measure religiosity. Faith might be a product of their upbringing. Or a person simply self-identifies with one faith whilst not being a practising believer. The taboo of apostasy should not prevent young British Muslims from changing or leaving their faith later in life. No individual (of any denomination) should face harassment or the threat of violence for doing the same. In Birmingham alone, almost 20,000 children (aged 0-17) did not state their religion (or lack of belief). So we must draw caution when examining these figures in isolation. The far-right picked up the disingenuous story with a bigoted gusto as many simply exercised their own confirmation bias. Changing demographics continue to inspire suspicion and a misguided fear of Islamisation. 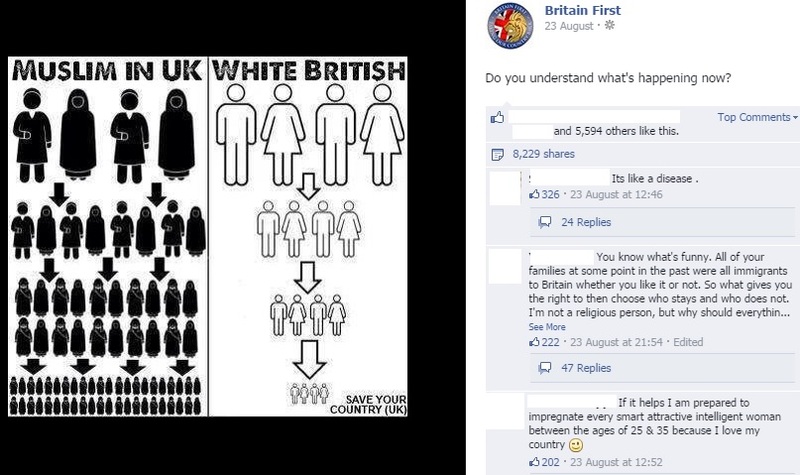 A conspiracy of ‘Muslim demographics’ remains just that.